Awful, tragic, terrible, sadness, anger, shocked, senseless. These were all words that came out of my mouth when I heard about Newtown’s tragedy. My heart just aches for the families and community of Newtown, Connecticut. Tears stream down my cheek as I write this thinking about what has happened to these families. I think about the presents under the Christmas trees that will not be opened by those whose name is on the package. I think about the Christmas church programs that are missing little ones singing and reciting their Christmas pieces in front of the church. I think about brothers and sisters who cannot share their Christmas excitement with their sibling. I think about moms and dads, grandmas and grandpas, that don’t think they can go on another day because their grief is so unbearable. I know about the unbearable and excruciating grief of losing a child. The grief that takes over your life, the grief where you wonder if you can get out of bed, the grief where out of nowhere you start to cry, and the grief where you question your belief in God wondering why this happened to us. 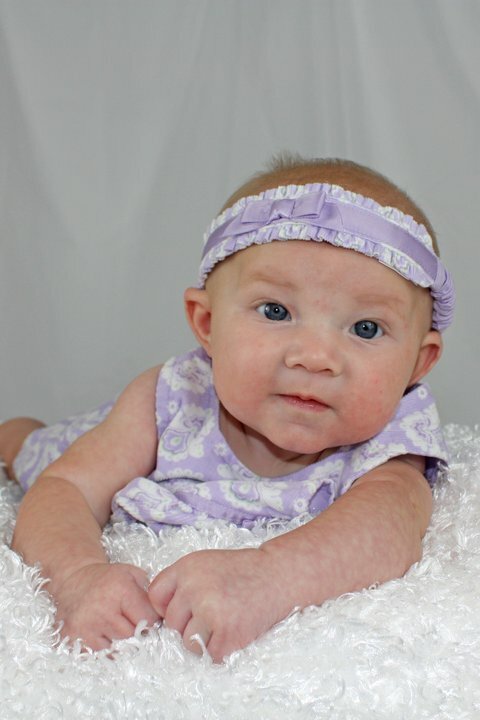 I know because our family lost a 3 1/2 month baby girl, my granddaughter, Ainsley. The ways the Sandy Hook school children died and my granddaughter are different. These children died a violent death at the hands of a 20 year-old boy who was so sick that all he felt was pure and utter hopelessness and in his mind, shooting innocent children and himself was his only answer. As the childrens’ deaths were unexpected, so was my granddaughters. She passed away at daycare. I experienced and saw things no one should ever have to see or feel, just as the people of Newtown. I pray for them. Both my husband and I tried to be strong for our daughter and son-in-law, all while grieving ourselves. And I felt so inadequate because even though I wanted to be strong, I failed miserably. How do you help your 26 year-old daughter plan a funeral for her daughter? It was not right. And I know there are grandparents going through the same situation in Newtown. I pray for their strength to help their children and grandchildren. I can’t say that I know what these families are going through entirely, but I know what it feels like to have a child die unexpectedly. I know they are trying to make sense of what happened. And that’s the irony of the situation. There is no sense in this tragedy or in my granddaughter’s death. I still have a very difficult time going back to the day she passed away. It was a nightmare, plain and simple. After her death I was angry. Very angry. But after a period of anger and utter sadness, I knew I couldn’t go on like this. I prayed to God and turned over my anger and frustration to him. I couldn’t deal with my unanswered questions. It was only after giving it to God that I could accept it. Even though there were some disturbing things that went on at the daycare, I knew in my heart the daycare provider was a good person. She just made some really bad choices that day. The Newtown families will be facing horrifying memories and feelings of sadness, anger, frustration and despair. I want the Newtown families to know their fallen children are okay. Jesus loves their children. And they are waiting in heaven in anticipation for their family to join them. One thing I learned through this experience was how faith gets you through, step by step, doing things you never thought you could do. I also realized there are questions that I am just not going to know the answer. And, I am okay with that … now. It took a while to accept. 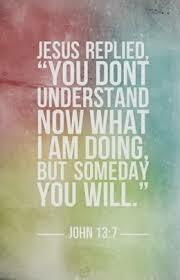 I trust that God knows best and maybe there is a reason I don’t know the answers. I am at peace with that and that is my wish for the families of Newtown if they don’t get the answers they are looking for. Everyone grieves differently and the families should be allowed to do that. One thing that my daughter and her husband did as part of that grieving process was put in a full-page obituary in our local newspaper. Very unconventional, but therapeutic for them. They wanted everyone to know about their little girl like they knew her. The families of Newtown will all grieve in their own ways. No one should tell them how they should grieve or how long they should grieve, but rather help them through the process, even if it just to listen. I wish for the community of Newtown to be present, to listen, and to share tears. I also hope they will find ways to take their grief and find some positive outcome … however small. By using their grief to help someone or something will give them a sense of empowerment of finding a little good in something so tragic. And that is my wish for them. Taking a tragic event and turning it into something positive is what my daughter and son-in-law did. The memorial money was seed money for a scholarship fund in their daughters name. They have named two $1000 scholarship recipients, one each in the last two years. To fund the scholarship, they sponsor two fundraisers yearly. One is a memorial garden located at our local hospital. The garden is to remember children, babies, stillborns and miscarriages that have left this earth too soon. People donate money for flowers and stepping stones with their loved ones name. The second fundraiser is a softball tournament. My very first blog was about the softball tournament and how we tied pork into the event. After the Newtown tragedy, I believe there will be changes. There were changes in our state daycare regulations after not only my granddaughter’s death, but other children in daycares. The additional regulations made a safer daycare environment. My hope for our country is that it directs changes into helping the mentally ill. My hope is our legislators keep a level head and make changes based on research, knowledge and experts. Just as we advocate in ag, it is knowledge, not emotion, that should fuel changes. My belief is that mental illness is the core issue and not gun control. And along with mental illness, we as a nation have pushed God to the corner. This just allows evil to enter where God should be. I pray that we change that. We need to help the these individuals that are so desperate they feel there is no other option but violence. We should never have another massacre. We owe it to them, we owe it to us and we owe it to our country. This violence cannot continue.